Courtney has worked in the hair industry for several years and her ultimate goal is to make her clients look and feel their best. She does this by giving them a look that will suit their needs as well as their lifestyle. 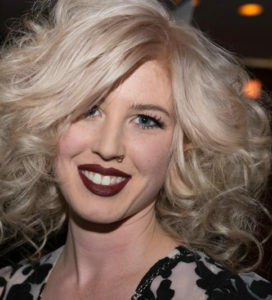 Courtney specializes in up-styling, colouring, as well as unique and trendy cuts. Having worked in the industry over the years, I have grown not only as a stylist, but also as a person. I have worked with several talented people from whom I’ve learned so much. I am constantly expanding my knowledge of styles and trends in this ever-changing industry to always be up-to-date with the latest in hair. I love to get out from behind the chair and compete in hair competitions as well, having been a finalist (top 5 in Canada) in Contessa 2013. This allows me to use my creativity to really produce pieces of art with hair. I am passionate about every aspect of hairstyling, and this passion comes through in all the work I do.